The US State Department Calls for Record EB-5 Visa Growth | The Law Offices of Yuri Tsyganov, P.L. EB-5 Visa growth is at an all time high, and President Barrack Obama is calling for even more growth in the entrepreneurial-focused visa program. In fact, the United States Center for Immigration Services might just bring in $2 billion from international investors this year through the twenty year old program. As if that weren’t enough incentive, the US State Department has called for an increase in EB-5 Visa growth through more aggressive processing. Currently, US policy allows up to 10,000 visas issued through the EB-5 program. Although this number has never been reached, last year did see the highest number of successful applications. The entire process is quite difficult to navigate, but increasing private sector services such as The Law Offices of Yuri Tsyganov, P.L. have allowed more individuals and families to enter the program. With the US seeking new revenue avenues, now might be the perfect time to consider relocating to the US. Since the State Department is planning on increasing focus on EB-5 Visa growth, procedures for obtaining such visas are becoming more streamlined. Although it still takes 10 months to process paperwork, services that focus in the area are able to increase the success rates of applicants. The minimum investment is quite high, but the return on that investment is priceless. In just seven years, the EB-5 Visa program has added over 95,000 jobs to the US and raised approximately $6 billion for US economic stimulus. 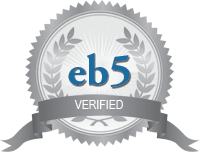 Each individual who applies for the program is committing to a $500,000 to $1 million dollar investment along with creating 10 jobs within two years The details of the requirements are more specific than that, but the right law firm or service is capable of explaining everything involved in the EB-5 Visa program. The success of the program is seeing some scrutiny from some politicians in Washington, but most see the program as a success. Influx of capital to the US is solidifying the EB-5 Visa growth more each and every year. Finding a way into the US through entrepreneurial immigration programs like the EB-5 Visa program is not only possible, but with a bit of investment is even likely.